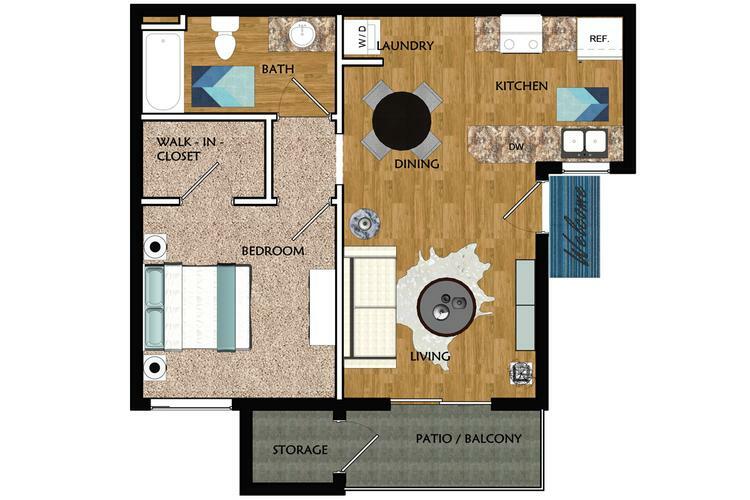 The Newport, our one bedroom, one bathroom apartment is practical and welcoming. With an open floor plan and luxuriously upgraded features it offers convenience, style, and comfort. Your fully-equipped, galley-style kitchen, complete with faux granite countertops, brand new cabinetry, and contemporary lighting, will quickly become your favorite spot in the home for entertaining. With abundant countertop space and a separate dining area, entertaining friends and family is a piece of cake. Bring your family and friends home to The Newport at Promenade at Grand Apartments & Townhomes!